From 3D Bases to Forgotten Halls! Aha, that's where the Gothic theme toddled off to, glad I waited now. These look great! 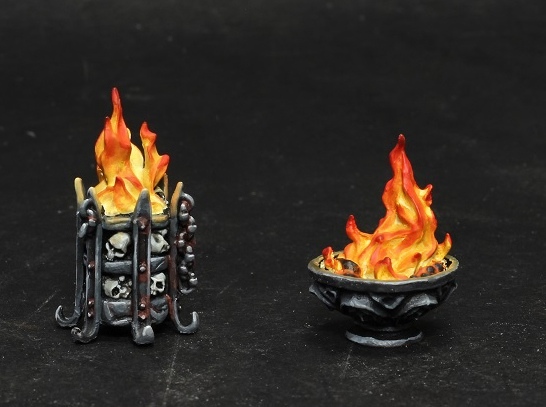 Any idea on pieces per set and price? But we won't stop at the Gothic theme. We have a lot of themes ready. It is a bit early for prices, but we plan for a set to fill an area like the one in the video and at a very competitive price. Update #02 – The innovative modular walls of Forgotten Halls. Do you have an estimate on KS release. I pledged a lot on the Maki KS. and want to pledge to yours as well. I understand your partnership dissolved but love BOTH of your systems. The end of October or early November would be great. Update 2 says "Forgotten Halls will be presented on the Kickstarter platform at the end of 2016, once all 3D bases pledges will have been sent to all our backers." I'd still like to know about how Manorhouse and Maki ended their partnership. Was it amicable? Hope I can afford these tiles! The 3D bases were out of my price range. What is the connection between Maki Games and Manorhouse Workshop? Why the necessity to have two different Kickstarter accounts with 2 different Kickstarters running? I'm asking because I don't really like overlapping Kickstarters (ie: Forgotten Halls will launch after 3d bases is delivered but before MUP is delivered). It is correct what he writes ced1106. first we have to finish to deliver the "3D bases". therefore we think to launching the KS by the end of the year or beginning of 2017.
we are almost ready with everything. of the rest you can see from the update that we present every day..
Hi ced1106. I'm sure that this time, you'll can afford our Forgotten Halls. This looks fantastic and is a more refined evolution of your original ideas in the MUP. I can't wait to see what you have in store for this project !! Hi @Dark Severance, Sorry for delay to reply. Maki Games and Manorhouse Workshop are 2 distinct companies who had a partnership agreement which lasted 1 year and ended in July 2016. They have their own and separate policies and plans. MHW has and is pursuing all its projects normally. FH was shown on internet in January 2016 for the first time while 3D Bases was created before that. Both have been moving forward on their own pace. Hi @Myrthe, Thanks for your comment. Why not continue the partnership? (I have $100+ riding on this answer. Looks like the 3D bases fulfillment is going well. The Indiegogo project has still a (very) few backers waiting for their pieces. We are in constant private contact with them and did recently invest quite some money to entice our factory supplier to respect the deliveries. It is working, even though not as fast as we expected and hoped. This Indiegogo project was our first crowdfunding experience. village, Water mill, Arengario and a Castle. And the castle is the most complex of all. and the late deliveries are a consequence to this inexperience. We have learned (a lot) since then, a fact proven by our 3D Bases. The kickstarter deliveries already started, Just two months after the end of KS, we have already made the first delivery. "about 6 months before the estimated delivery date". We learnt from our mistakes and this is why since then we're ultra careful about every step of production and delivery. I am sure of have satisfied your questions. 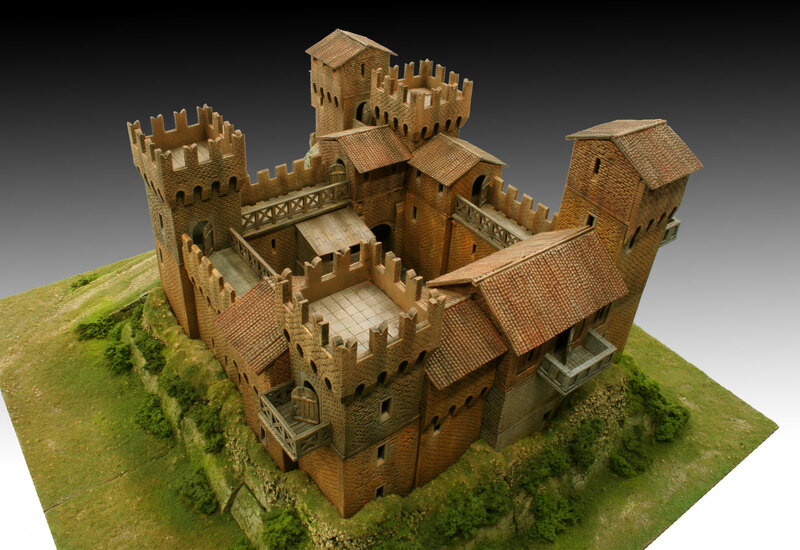 MHW has over 17 years of activity in the sector of the tabletop games and buildings for skirmish and wargames. While we strive to answer any question from our public, going onto specifics about a separation between companies is a private matter, and shouldn’t be discussed publicly unless there is a consent from both parties involved, as you surely agree. The announcements MHW posted on the matter go as far as MHW is allowed to. I'm David, a collaborator of MHW, and some might have seen me around on various forums doing some P.R. 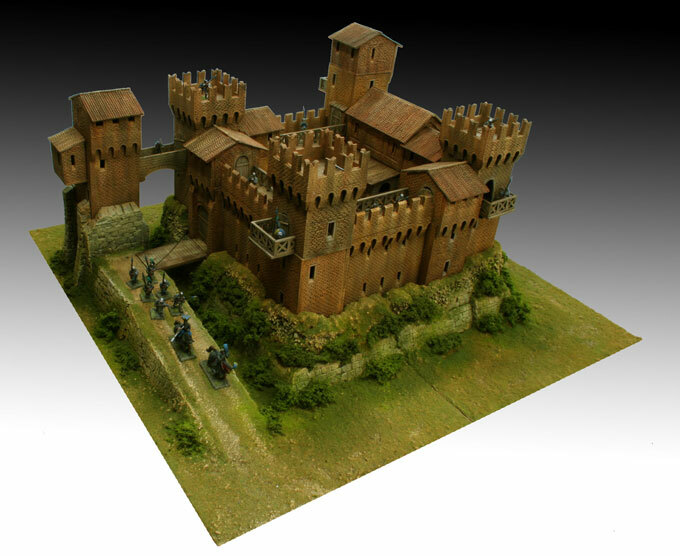 and helping Lorenzo on his 3D Bases Kickstarter. Glad to be part of Dakka Dakka! It is a real pleasure to have you on Dakka Dakka. I've been watching this thread and find the concept interesting, but a lot depends on price point and how usable the pieces really are. 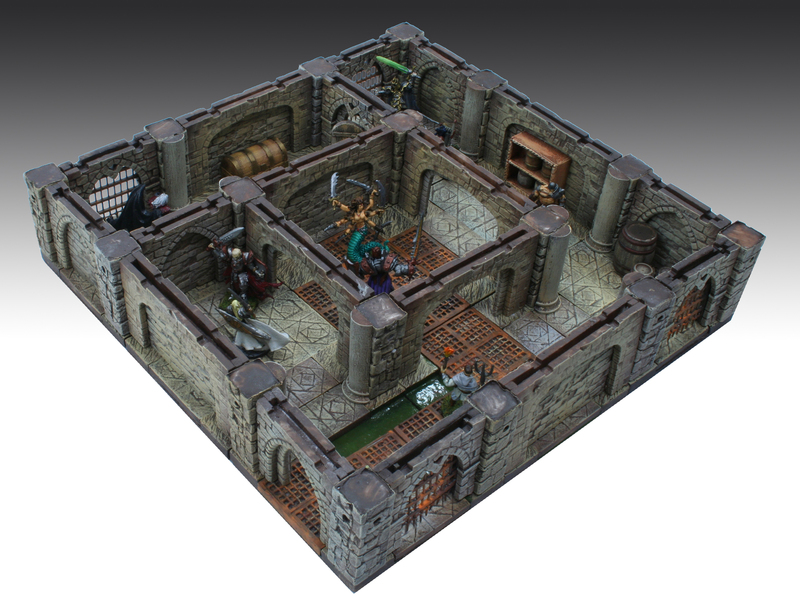 The compatibility with dwarven forge caverns is very cool - although in those pics I find myself drawn to the caverns pieces! What is really cool about yours, is I always felt it was inefficient to tear down a whole setup to change one wall / door / etc. So that's very cool . The wall "facades" that you showed a brief video of snapping on top of existing walls I do not think are as attractive / useful. 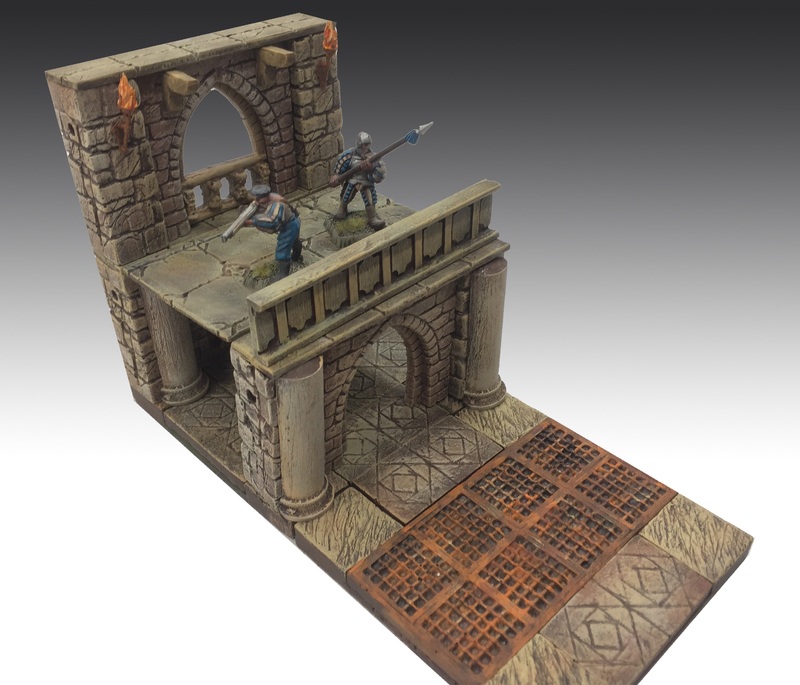 But the wall inserts themselves, and the pillars, torches, floor pieces, etc certainly are both useful and really beautiful. 2. When you say hard plastic, these pieces will all be injection molded? Are the samples you are showing resin casts, not the finish parts from the injection molds? Imho it's one of their best looking sets in general. I suppose by "wall facades" you mean our "wall covers", which we didn't write an article about it yet (so you can't know we call them that way ), but it will soon be the case. The video you saw aimed just at showing everyone that there will be "something" between the lower wall and the upper wall. We will talk about it later on on our next updates, but this concept has been studied heavily, and it is, in our opinion, the best solution. The price point hasn't been set in stone yet, we have time, thankfully, and we will need to ponder everything with care. And yes, the kits you see in the pictures and videos are made of resin, but the final parts will be made of hard plastic. To test the product, and find out potential issues (and show real nice videos ) we needed to cast the pieces in resin. Hope that feedback helps, and love these latest images, very cool! I'm fine with the wall inserts. They let the walls have a change from the "arch" look. Posting to say I *really* like those torch "holes". I'd like to see small gargoyles, hanging lamps, other doodads. Maybe you could have some (ahem) skeletons, corpses, tortured prisoners, captive hostages that need rescuing from those holes. Why, yes, I do have the Terraclips Prison of the Forsaken set. 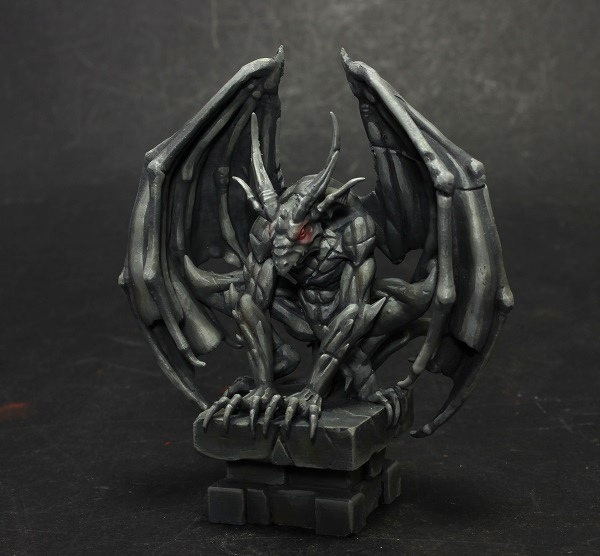 We have understood why Zealot Miniatures have a delay in deliveries. the extreme quality does not admit a hurry! Strongly disagree. 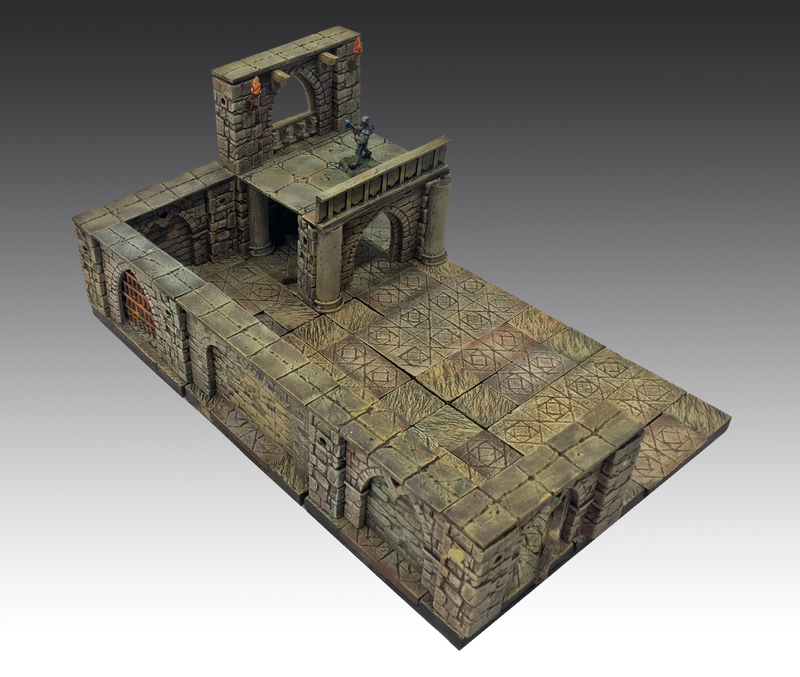 Being able to have flat walls is a very attractive feature(not every single dungeon hallway and room is going to be highly decorative and filled with arches, indeed most shouldn't be IMO), and the flat coverings also substantially increase the value for people who don't value the modularity as much and just want to use these as a "kit" to construct a whole table or a series of preset rooms & corridors with, as it gives you more pieces to work with. For my money now that I've seen them my planned budget for this has doubled, and having considered the extra possibilities they offer and how much I prefer the flat sections to the arches for more "generic" corridors & rooms, I don't know that I'd pledge at all if they don't end up going in since all I'd be able to think of is the huge amount of tedious effort they could have saved(seriously, have you ever tried making stone walls out of insulation foam by hand? *shudder*). It seems like they could just offer some flat walls - otherwise for each piece you're painting a wall and two inserts! But no harm in having it as an option really, just not my preference is all. A flat-wall set or add-on would be great. Wouldn't mind buying Zealot dungeon dressing through the MHW KS, come to think of it! The Wall Inserts is imho as great as are the Floor Inserts. There is a lot about the Walls Inserts you didn't see yet. 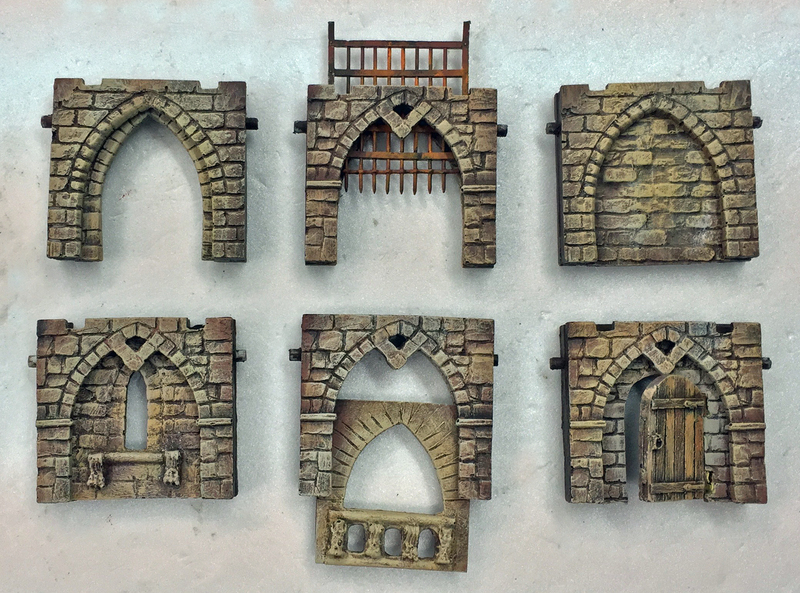 I know we have an update planned about one (of the many) potentialities about the Wall Inserts, but we won't be unveiling all of them (some are left for our KS). I'll write as of now about the potentialities you can see, with just the "plain wall" insert. - you have to paint two whole walls to have the same result (a wall with arches, and a plain wall), while in our system, you just need to paint one wall, and 2 inserts. That's quite less to paint. - what if you want walls to have different textures on each side ? 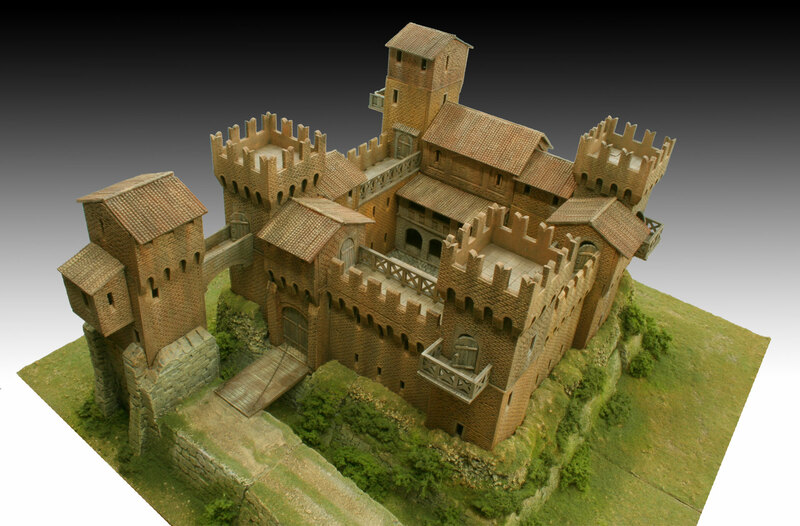 imagine having a Throne room, with arches, and on the other side a plain castle corridor. With Walls Inserts, this is easily done. 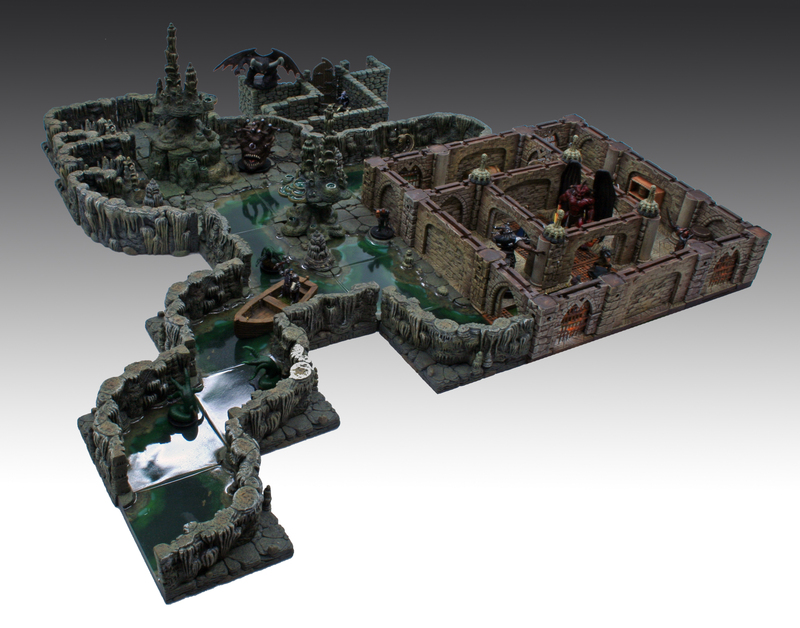 - ease of building: if you would have just different walls, and you're building your dungeon (or castle, etc. ), and you realize you made a mistake, or you just are pondering if another wall in a particular point would fit better, you would need to detach some pieces to change the wall (even more if you have been building "up" with another floor on top of the wall section you want to change). With the Wall Inserts, you just need to swap or add a Wall Insert to see how a different wall would look. - storage space: if we would create full walls for every different texture, it would take way more space in your storage/home than just with some small wall inserts. And like I said, this is just the beginning of the advantages of the Wall Inserts.